Tonight... Patchy fog after 5am. Otherwise, cloudy, with a low around 50. Calm wind. Thursday... Areas of fog before 9am. 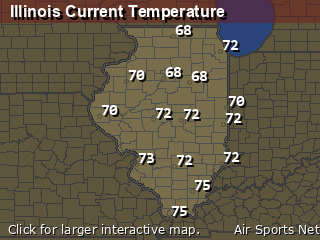 Otherwise, partly sunny, with a high near 70. North wind 3 to 6 mph. Thursday Night... Showers likely, mainly before 10pm. Mostly cloudy, then gradually becoming mostly clear, with a low around 47. North northwest wind 6 to 13 mph, with gusts as high as 28 mph. Chance of precipitation is 60%. New precipitation amounts between a tenth and quarter of an inch possible. Friday... Sunny, with a high near 66. Northwest wind 10 to 14 mph, with gusts as high as 23 mph. Saturday... A 50 percent chance of showers. Mostly cloudy, with a high near 65. South wind 8 to 17 mph, with gusts as high as 32 mph. Saturday Night... Mostly cloudy, with a low around 39. 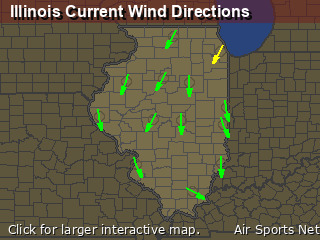 West southwest wind around 16 mph becoming north northwest after midnight. Winds could gust as high as 31 mph. Monday... Showers likely, with thunderstorms also possible after 1pm. Mostly cloudy, with a high near 61. Tuesday... A chance of showers and thunderstorms. Cloudy, with a high near 67.